You’ve been warned. The Old Farmer’s Almanac predicts above-normal snow and below-normal temperatures this winter. 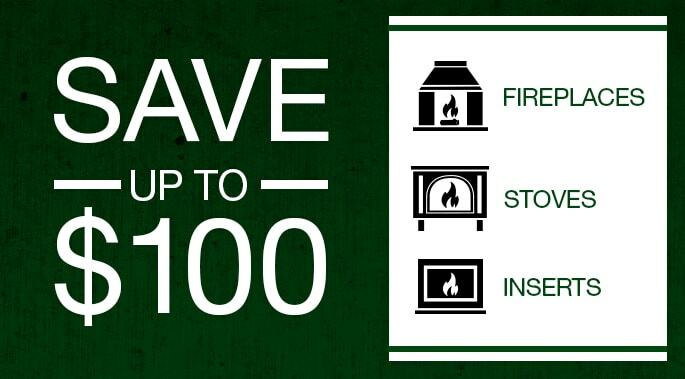 Prepare for the season and up to $300 on a fireplace, stove or insert. Remember, last winter? The chill in the air. The utility bills. Your open, wood-burning fireplace that’s highly inefficient. According to The Old Farmer’s Almanac, this season is going to be even worse with above-normal snow and below-normal temperatures. But, you don’t have to suffer. 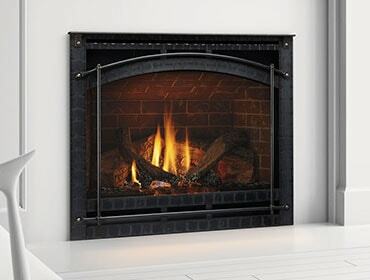 Prepare for winter now by installing an efficient and beautiful fireplace insert from Quadra-Fire. An insert will transform your inefficient, open-burning, masonry built wood fireplace into a beautiful heat producer. Convinced? Great. Allow us to demystify your options and make it a little easier to choose the insert that’s right for you. As the name suggests, a fireplace insert fits directly into your existing fireplace for a relatively quick upgrade with minimal disruption to your home. Inserts are available in three fuel types, each offering distinct advantages. Gas inserts offer the greatest degree of convenience since they burn natural gas or liquid propane, and are operated by a remote control or wall switch. They offer instant flames, warmth and ambiance, and because they don’t burn wood, there’s no ash to clean up. Look for Direct Vent gas fireplace inserts, as they’re the safest. Some people won’t settle for anything less than the authenticity, smell and sound of a wood-burning fireplace. If that’s you, an EPA-certified wood insert is a smart choice. Advanced combustion technology makes them the most efficient, cleanest wood-burning option available. Some units can heat for more than 10 hours on a single load of quality wood. And because they burn so completely, there’s minimal ash left behind. Pellet inserts are heating powerhouses and a good choice if your home is serviced by costly fuel oil or liquid propane. Many pellet inserts offer advanced technology, such as a programmable thermostat and an automatic cleaning cycle, to heat your home cleanly, consistently and efficiently. You’ll also like the peace of mind that comes with a pellet insert knowing you’re using a renewable resource –pellets are made from byproducts like sawdust and wood chips. Quadra-Fire inserts are available in many designs, ranging from rustic to traditional, with multiple options to tailor the look to your home. For example, the Quadra-Fire QFI30FB gas insert is available with several front-door options and multiple surround finishes. With the variety of models available, you’re sure to find an insert that matches the vision for your dream home, and your new and improved hearth. 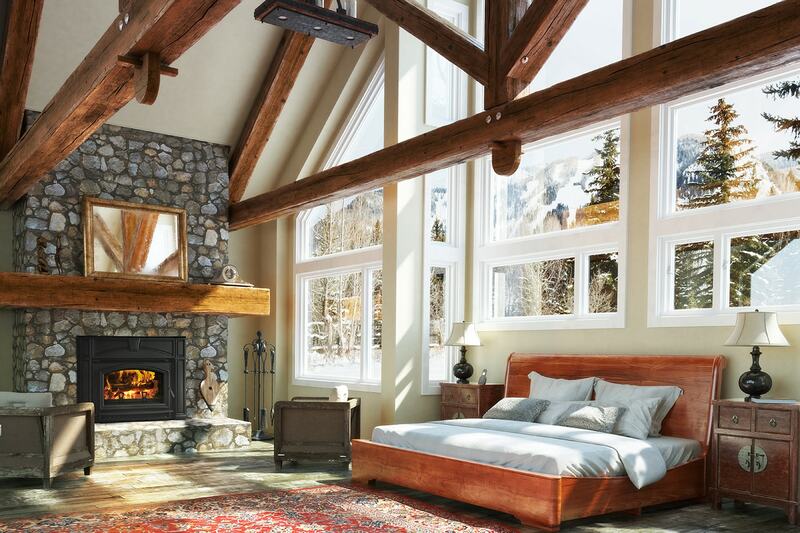 A new fireplace insert may be just the upgrade you need to help you endure another long winter. The technology in today’s fireplace inserts can also help you trim your utility bills this winter, earning your money back in a matter of a few years. Perhaps one of the biggest benefit of installing a new insert this fall? Between now and Sept. 14, you can sign up for our current offer and save up to $300 on a Quadra-Fire insert, fireplace or stove.